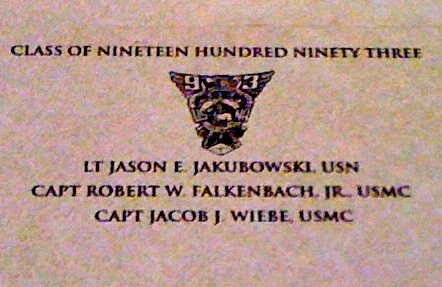 USNA 1993 classmates lost in the line of duty. I enjoy being the president of the USNA class of 1993. Reunions, networking events, and trips back to Annapolis, MD make it all worth it. But there's a sad side I deal with every few years when a classmate or spouse passes away. In the past I've made some mistakes in my haste to get the news out to my classmates. The key lesson I've learned is to respect the family's wishes. The only way I can know their wishes is for me to reach out to the family and ask. This is not an easy task for me to do, but it pales in comparison to what the grieving friends and family are going through. What's worse than being on the outside, looking in, is to be on the inside experiencing it. Emotions are high and fragile. Seemingly minor things can set people off. Most of us have seen or experienced this as some level. Fortunately, there's a simple lesson to help us deal with this known, by several different names, as the Circle of Grief, The Ring Theory of Kvetching, or How Not To Say The Wrong Thing In A Crisis. The Circle of Grief starts at the center with the person in crisis. Everyone in that person’s life is placed in concentric circles starting at the center with the people who are closest to the crisis (i.e. spouse, parent), moving out to the people in our lives who more distant. can kvetch and complain and whine and moan and curse the heavens and say, “Life is unfair” and “Why me?” That’s the one payoff for being in the center ring. Everyone else can say those things too, but only to people in outer rings. When you are talking to a person in an inner ring – someone closer to the crisis – the goal is to help. At some point, we'll get our turn at being in the center of the ring. The US Used to Have Hundreds of Time Zones? The Dangers of Private Planes?